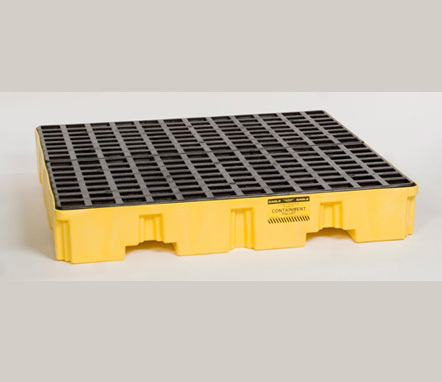 Spill Containment Four Drum Low Profile Containment Pallet Eagle's 4 Low Profile Drum Spill Containment Pallet is constructed of yellow high density polyethylene (HDPE) for excellent durability and chemical resistance. 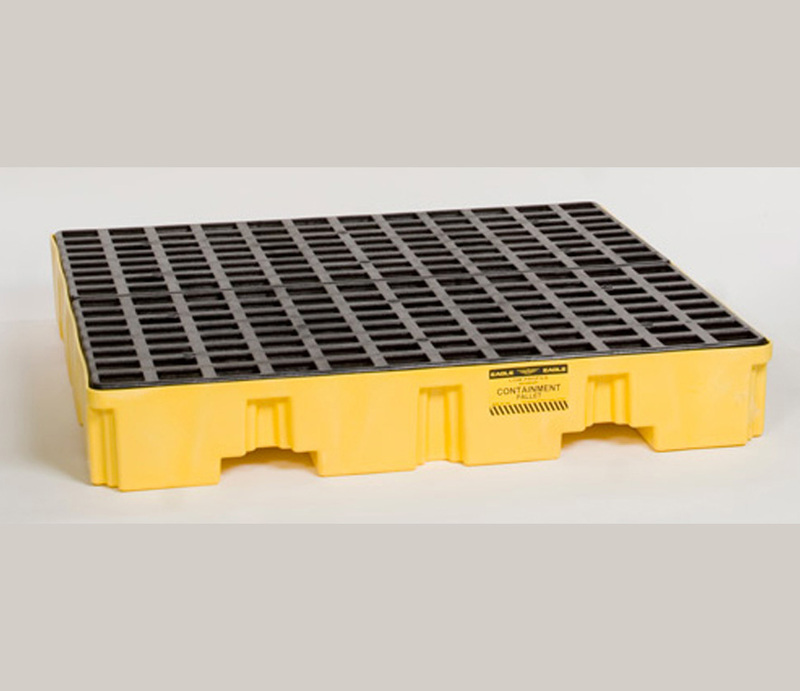 Features a sump capacity of 66 gallons and black HDPE flat top grating which removes easily for cleaning. Forkliftable design with a drain. Meets EPA requirements for secondary spill containment of hazardous materials (40 CFR 264.175).